This is a classic children’s song and game brought to the United States by German immigrants in the mid 1820s. It has been translated into many languages around the world. In the game the players form a circle and hold hands. One person is selected to be the farmer. 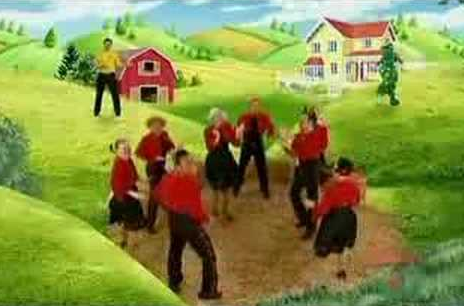 The people in the circle move around and the farmer chooses a wife. The wife joins the farmer in the center and chooses the child. They all choose someone until the cheese is left standing alone. It has a Roud Folk Song Index number of 6306. My wife Camilla remembers playing this game when she was a little girl in Beaufort South Carolina.